A convenient, no mess, no fuss alternative to priming sugar. 1 drop for not very fizzy beer. 2 drops for very fizzy beer. 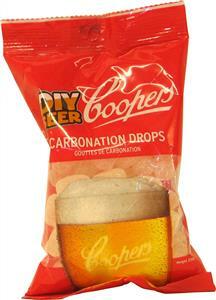 One Carbonation Drop is equivalent to 3 grams of glucose.